Germany goalkeeper Ron-Robert Zieler will leave Hannover 96 after six years at the club. 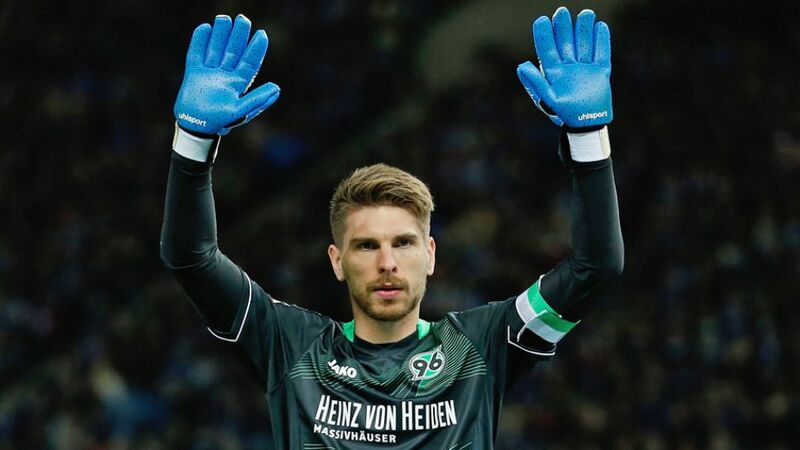 Hannover 96 goalkeeper Ron-Robert Zieler has announced that he intends to leave the club at the end of the season, following the Reds' relegation to Bundesliga 2. The 27-year-old broke the news via his Facebook page, citing his wish to continue playing top-flight football as the reason behind the decision. "I'm not going to pretend or beat around the bush," six-time Germany international Zieler wrote. "I'm just going to be honest. As much as Hannover have come to mean to me, I'm very ambitious. And my goal is to play top-flight football next season. There are offers, but a decision hasn't yet been made." Zieler has made 182 appearances in the Bundesliga since joining Hannover from English Premier League outfit Manchester United FC in 2010. He was part of the side that finished fourth in the Bundesliga in his debut campaign at the club and subsequently reached the quarter-finals of the 2011/12 UEFA Europa League.